Fluorine is one of the non-metal elements with chemical symbol F and atomic number 9. It is a light green gas at normal pressure and temperature, it is very dangerous because reacts with everything, also the glass of the ampoule. In fact we can supply only a mixture of pure fluorine gas in helium gas. 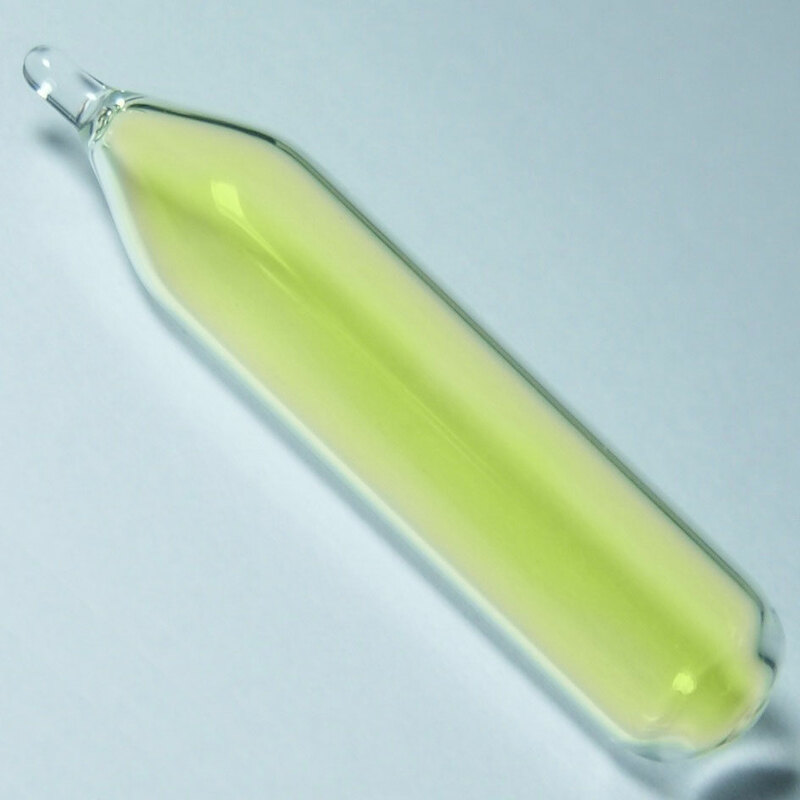 Fluorine 30% and Helium 70%, it is the only and safe way to have and collect fluorine gas in ampoule without any risks or problems. 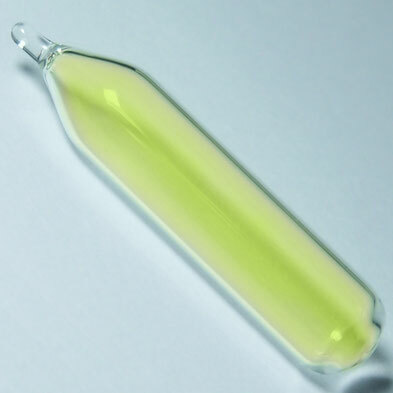 We supply this element at the purity of 99,9% mixed with He to prevent damage to the ampoule. the sample of F2 in picture is not on sale, it is too dangerous. it is showed only for dimostrative purpose. mixture of 30% Fluorine + 70% Helium , this is the only way to store Fluorine sample in safe way with no damages for the glass ampoule. the sample of F2 is colorless due to the presence of He.